Secure your awning to your campervan or motorhome with ease with this highly useful and practical Magnetic Driveaway Kit. Simply attach the magnetic strip to your motorhome then feed the awning piping into the figure of 8 channel to secure the fitment. 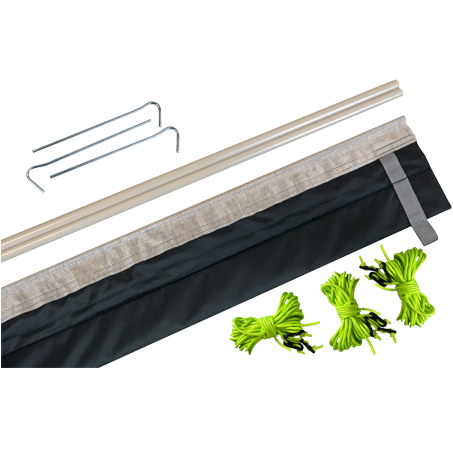 For added security, the kit also contains 3 webbing loops, pegs and guy ropes to give the awning more stability.